Welcome to the Seminole High School Counselor's Page. Seminole High School Counselor's are: Kelley Johnson (9th and 10th grade) and Beth Gaches (11th and 12th grade). Seminole High School counseling program provides several services for our students. The counseling department helps academic advisement especially with regard to meeting graduation requirements. Information concerning post-secondary choices and careers is provided. Additionally, the Seminole High School counseling staff is here to help students deal with social issues and challenges. SENIORS must have an ACT composite score of 19 or a 3.00 GPA and a 19 ACT in the area of enrollment. JUNIORS must have an ACT composite score of 21 or a 3.50 GPA and a 19 ACT in the area of enrollment. 2. The student cannot enroll in zero-level or remedial courses. Oklahoma Career Tech provides a path to industry certification in a variety of career fields. Come by the counselor's office for college deadlines! FAFSA help will be available at the high school from 11 am til 7 pm. Wanda Pierce from SSC/ECU will be here to assist you! See or call the counselor's office for a time to register. Sophomores will take tour of Gordon Cooper Technology Center in Shawnee. We will leave the high school at 8:30 and return at approximately 11:30. 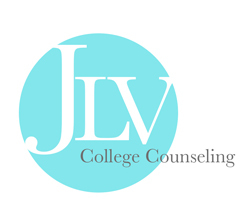 Check out JLV College Counseling site for October scholarships! The 1987 Oklahoma State Legislature passed a law requiring Acquired Immune Deficiency (AIDS) prevention education to be taught in the public school curriculum between the 7th and 12th grade. Here at Seminole High School, AIDS prevention information is presented by medical personnel during student’s 10th grade year. The session is approximately one hour and will cover information that is designated by the Oklahoma State Department of Education. Boys and girls are separated during the session and abstinence will be stressed. 2. Examine and identify the importance of sexual abstinence in adolescent relationships. 5. Identify risk behaviors and situations involving possible exposure to HIV. products and the transmission of HIV. No student shall be required to participate in AIDS prevention education if a parent or guardian objects in writing to such participation. Please sign at the bottom and indicate your objection. If you have any questions, please feel free to call at 382-1415. ___No, my child does not have permission to participate in the AIDS Education Program. The AIDS/HIV program will be held on October 27th. The girls will meet in the High School cafeteria and the boys will meet in the Seminole Middle School Library. *The scholarship will not longer pay for zero-credit remedial courses in college. *The $100,000 AGI second income limit will be applied to every OKPromise recipient EACH year in postsecondary education, rather than just the freshmen year. Students will be required to file the FAFSA every year and could move in and out of scholarship eligibility each year. For any year that the federal adjusted gross income (AGI) of the student's parents exceeds $100,000, the student will not be eligible for the award that year. This change will apply to all OKPromise college students in the 2018-19 and thereafter, regardless of when the student graduated from high school. *Beginning with OKPromise students graduating high school in 2018, payment of the OKPromise scholarship will be limited to 129 semester credit hours in college. Exceptions to the limit may be considered for degree programs that require more than 129 credit hour. *The family income limit at the time of application in the 8th-10th grade increased from $50,000 to $55,000. the income limit is now based on the parents' federal adjusted gross income (AGI, rather than total taxable and nontaxable income). *Upon graduation from high school, eligible OKPromise students who choose to attend an Oklahoma public career technology center will have an expanded selection of programs. Career tech programs that are eligible for federal financial aid are not eligible for use of the OKPromise scholarship.